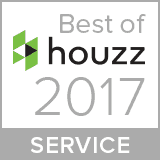 The perfect combination of Appealing Design & Maximum Performance. 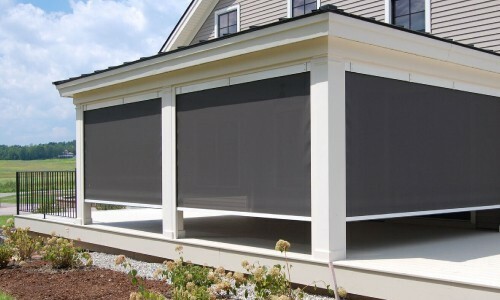 Solar shades are roll-up, retractable shades made from an advanced mesh fabric that blocks the sun, but not your view. 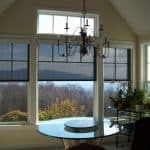 This unique combination makes them the perfect solution for those struggling with solar gain through their glass, but who don’t want to compromise their view. 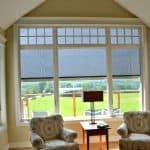 Interior roller shades are very affordable, and are easily installed over existing windows and sliding glass doors. 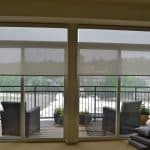 Exterior roller shades are a heavy-duty version of the interior system, and are designed for even the harshest winter conditions. 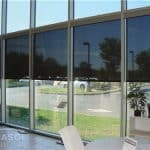 These systems are versatile and can be designed to cover very large openings. 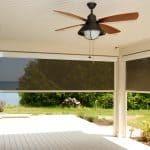 They can also be used to enclose open porches, and provide wind and weather protection. 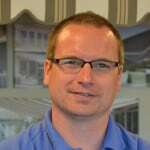 Schedule a FREE ON-SITE CONSULTATION with an Otter Creek design specialist who will come and measure your space and help you create the perfect Deck Canopy solution for you.